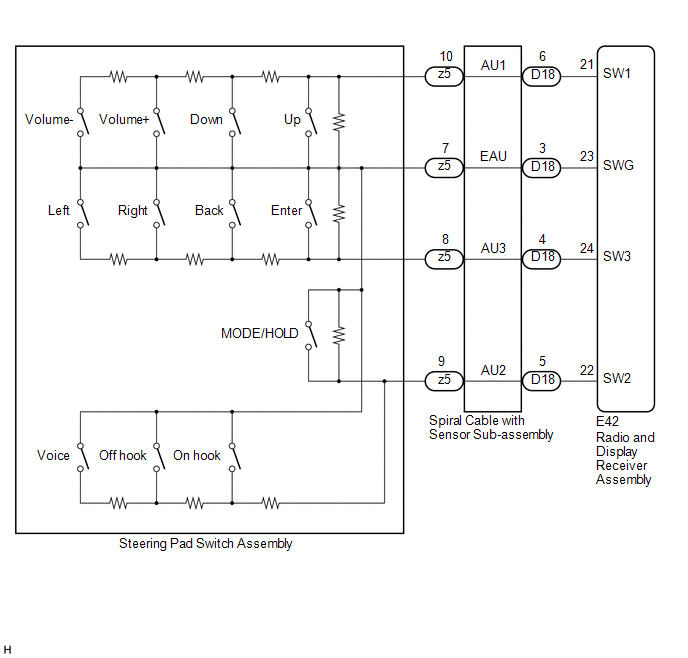 This circuit sends an operation signal from the steering pad switch assembly to the radio and display receiver assembly. 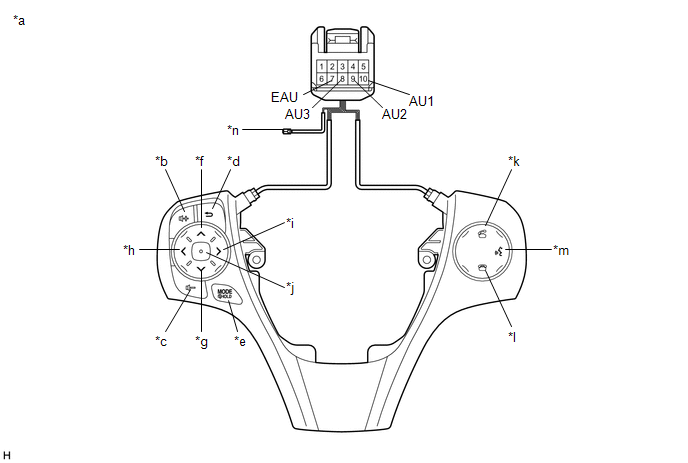 If there is an open in the circuit, the audio system cannot be operated using the steering pad switch assembly. If there is a short in the circuit, the same condition as when a switch is continuously depressed occurs. 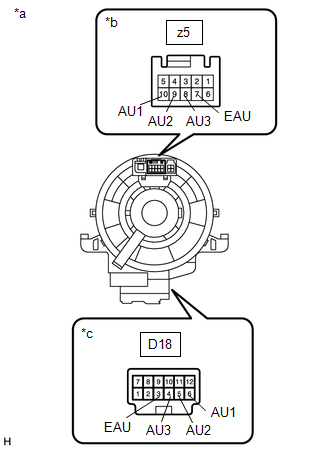 Therefore, the radio and display receiver assembly cannot be operated using the steering pad switch assembly, and the radio and display receiver assembly itself will not function. (a) Disconnect the E42 radio and display receiver assembly connector.